St Mark’s Summit has quickly become one of my favourite Vancouver hikes. In fact, I like it so much that I’ve done it twice in the space of just a few weeks. If it weren’t for Panorama Ridge I might even say that it’s one of the top BC hikes. The best things about the St Marks trail is that it’s super close to downtown Vancouver. You get to the trailhead by heading up to Cypress Mountain which, you may remember, is where I spent a lot of time in the winter skiing. 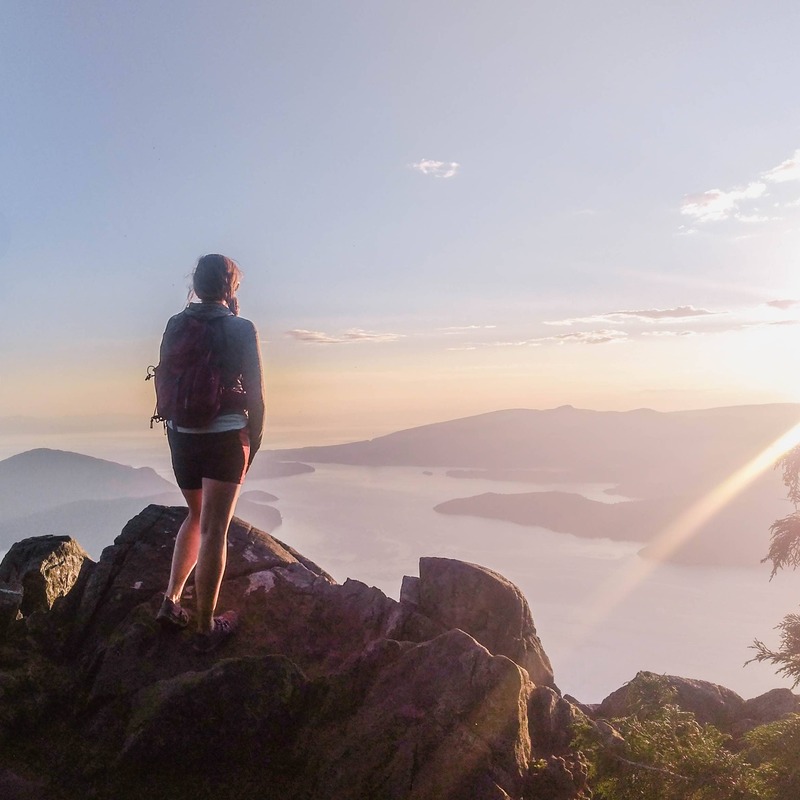 It’s become a little bit of an insta famous hiking trail in Vancouver and, at it takes anywhere from 3-5 hours to complete which makes it a great day hike in Vancouver. 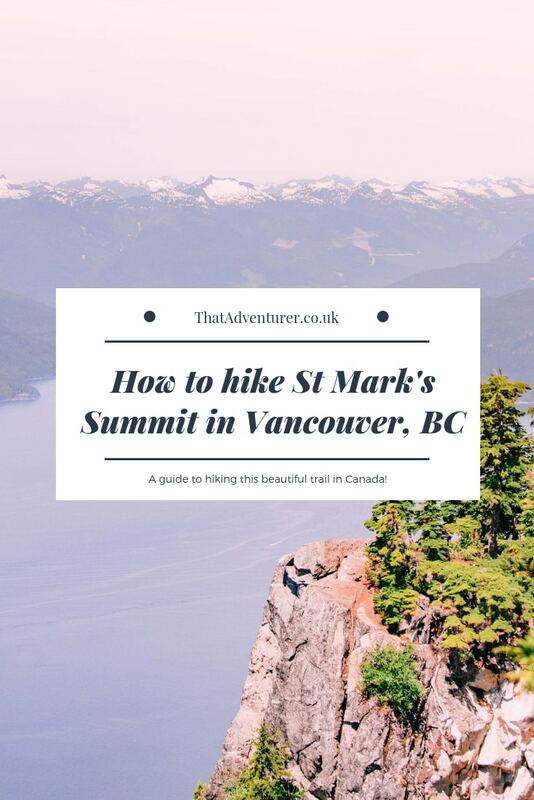 If you’re visiting and are looking for great hikes in the Vancouver area that are moderately rated then St Marks summit is a great choice! When’s the best time to visit St Mark’s summit? 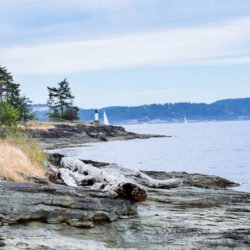 Want more Vancouver hiking trails? Hiking to St Mark’s summit is moderately challenging. It’s not too steep, and for most of the way the trail is very well kept. Compared to the Grouse Grind elevation this one is 460m which is 393m lower whilst being about twice as long in length, ie. it’s not too steep! 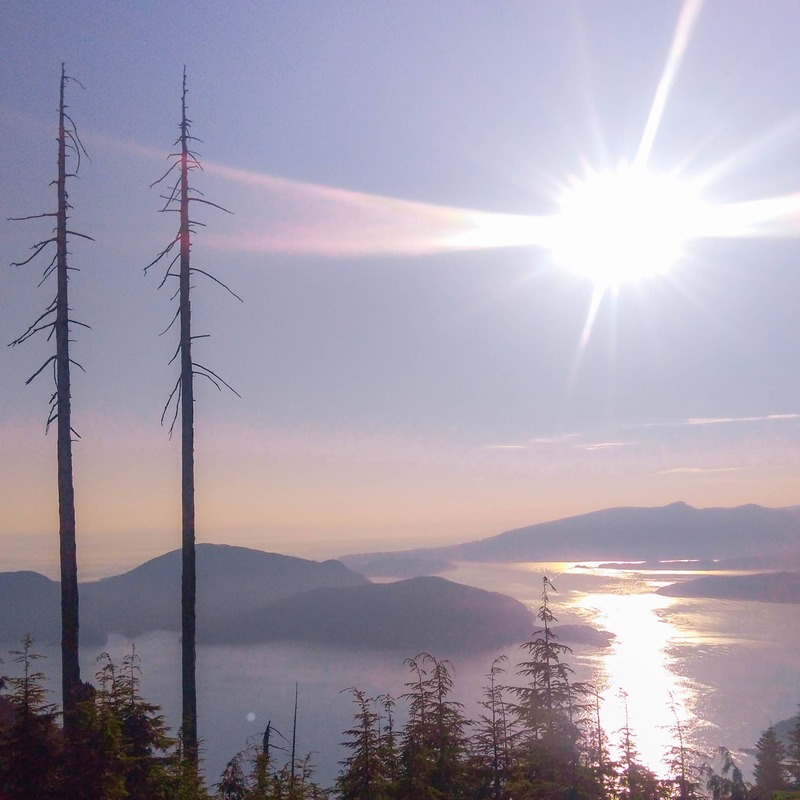 St Mark’s Summit is part of the Howe Sound Crest Trail (a 30km trail from Cypress to Porteau Cove) up in the Vancouver mountains. When you begin your hike you won’t see signs to St Mark’s. Instead you’ll see signs to Bowen Lookout and The Lions and following these will put you on the right trail. 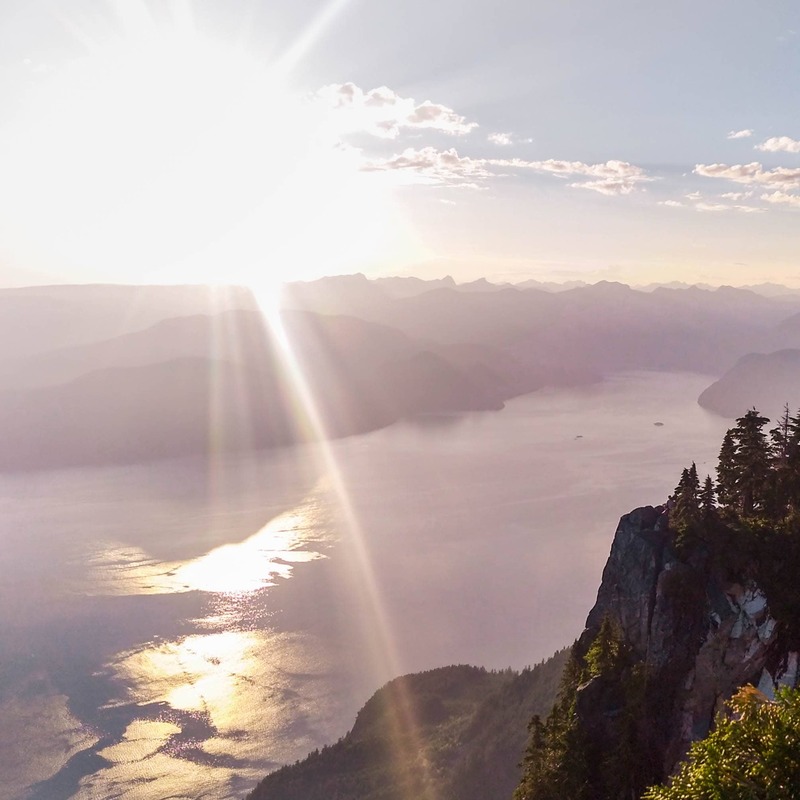 It’s undoubtedly one of the best hikes in Vancouver thanks to incredible views across the Howe Sound and cities near Vancouver. 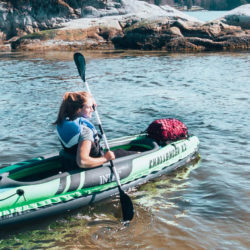 If you’re visiting Vancouver or have nothing planned then here’s your answer to “What to do in Vancouver BC.” This hike is pretty much a must do in Vancouver! The hike to St Mark’s Summit begins from the Cypress Mountain ski area. From the parking lot you’ll head past the winter offices and ski pass pick up on your left until you get to a pick trail map and the start of the woods. Parking is free but if you think you’ll be out hiking until gone 8pm then make sure to abide by the signs so your car doesn’t get locked in! There are a few different routes you can take to get to St Mark’s Summit. You can hike via Yew Lake or you can take the more direct route to the top! 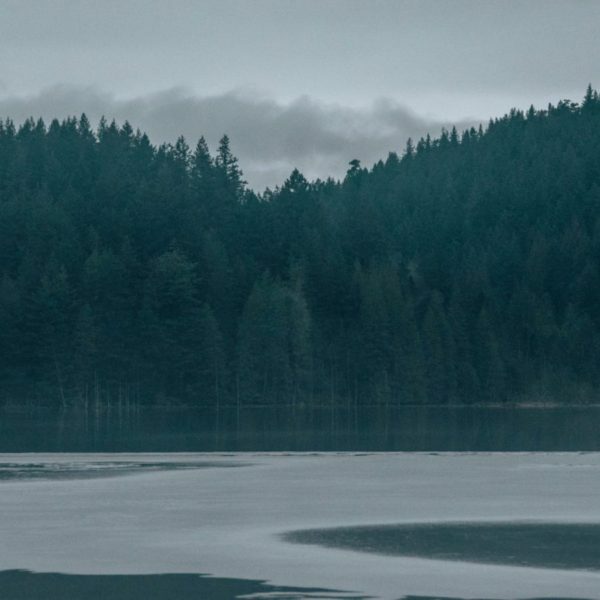 All of these hikes near Vancouver offer some beautiful views. If you take the Yew Lake route bear left at the beginning of your hike to St Mark’s Summit. Then follow the signs until you loop back round and get to a signpost and take a left turn, following signs to Bowen Lookout. This is where you’ll come to if you just went straight from the Cypress ski area and didn’t go to Yew Lake. From here you’ll walk down a gravel road before bearing right. Here the trail begins to climb with a series of steep switchbacks. After a few hundred metres there’s a sign post off to Bowen Lookout. This is worth the short detour if you’re up for it! If you choose not to go to Bowen Lookout, or once you’ve rejoined the trail, continue uphill until you come to a forest-y area. Here there is a map of the hiking area and slightly past this you’ll get a glimpse of the incredible Lions. You can also do the Bowen Summit hike on its own, it’s one of the best easy hikes in Vancouver. Continue along the trail where you’ll pass a few streams and then begins heading uphill again. You’ll also come into a small meadow and cross two bridges. Here the path begins to level and there’s a brief downhill section. This is short lived as then trail climbs again through another series of steep switchbacks. Half way through this uphill section the trail goes from a well maintained path to one that isn’t maintained. There are lots of roots and rocks that will probably slow your pace down! When the trail levels out you’ve reached the upper region of St. Mark’s Summit. Cross uphill a little and there’s a big rock to your left which offers your first viewpoint from St Mark’s Summit. Go up here first and take in the views and then head down to the second viewpoint which is slightly tricker to find. You’ll have been able to see it from the first viewpoint, it’s the rock off to your right Ask other people or look for the most well trodden path! 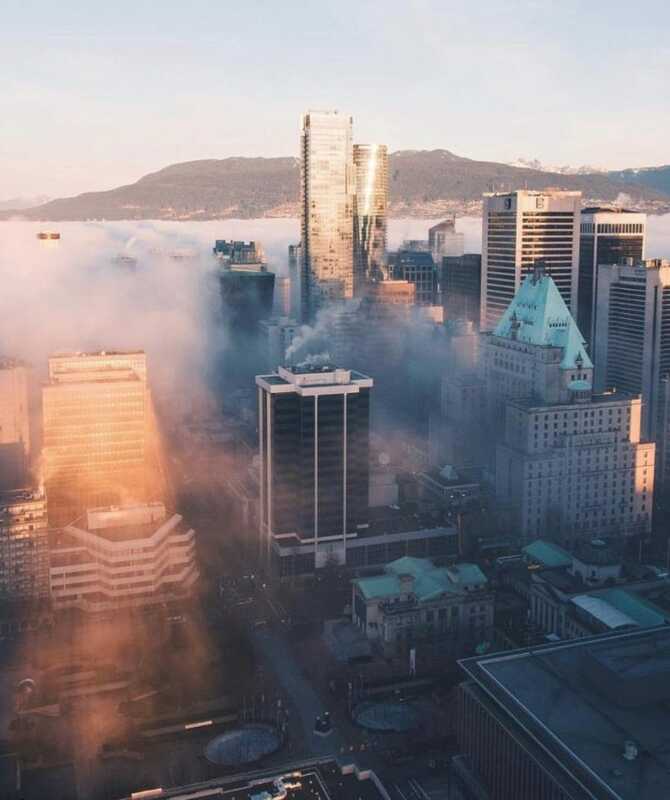 From up here you’ll feel like you’re at the top of Vancouver. 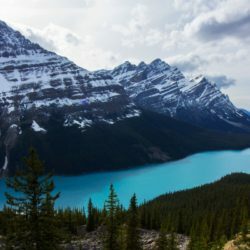 Since it’s such a nearby hiking trail, it’s not exactly the quietest hike around, but it’s worth it and the crowds can be avoided if you go early, or late! For some reference we started a hike around 9am and there were a few people on the trail but the summit wasn’t too busy and, when we did the sunset hike it was just us and 3 other people at the top. In terms of the best time of year to hike St Mark’s summit it’s one Vancouver trail that’s very dependent on the weather. When we hiked in mid-June there was still some snow on the top of the trail. Check recent reviews and instagram posts to get more of an idea. In general, St Mark’s Summit is best in Summer & Fall; after the snow has melted and before it comes back! 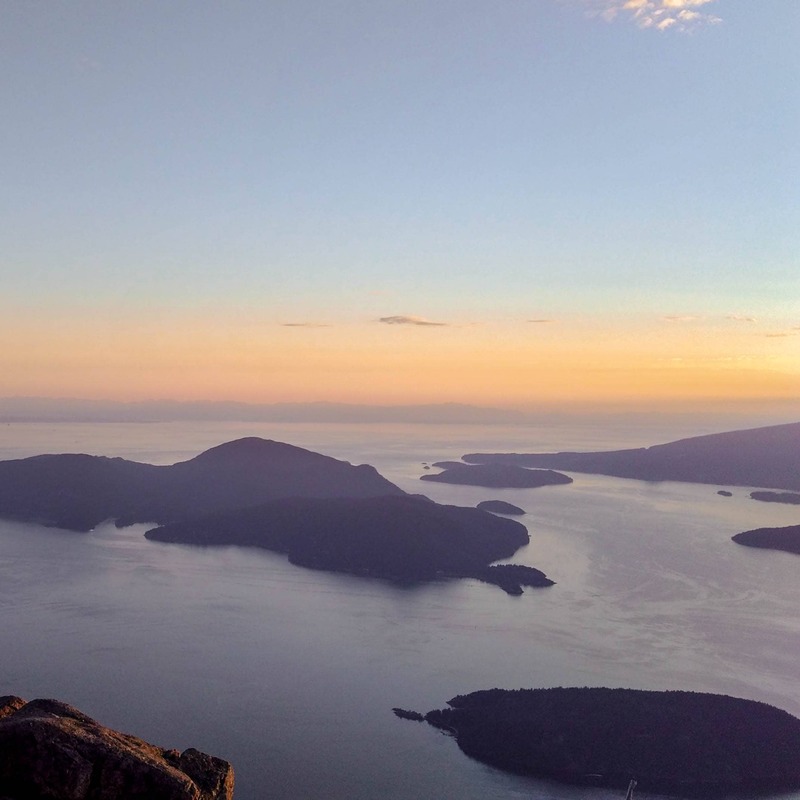 For the best views in Vancouver hike up St Mark’s at sunset but don’t forget to take your 10 essentials; especially a head torch and bear spray! You can check Cypress mountain weather on the Cypress Mountain website which is useful since there are some webcams. If there’s any snow at the lower elevations you can be sure there’ll be some at the top of St Mark’s!